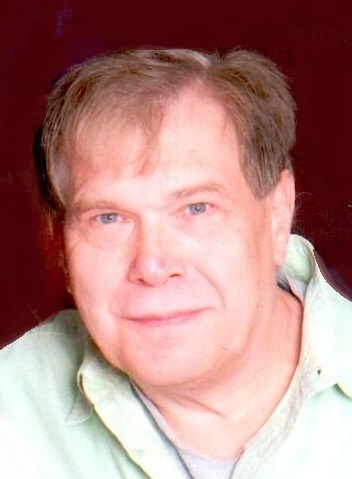 Mark J. Biesanz, age 70, of Winona, passed away on Monday, November 26, 2018, at the VA Medical Center in Tomah, WI. Mark was born on March 18, 1948, in Minneapolis, MN, to Peter and Frances (Green) Biesanz. He was a 1966 graduate of Cotter High School, and later earned a Bachelor’s Degree from Winona State. Mark was united in marriage with Dian Rasmussen on May 6, 1972, at the Rushford Lutheran Church in Rushford, MN. He honorably served his country with the United States Army from 1966 to 1969, completed a tour of duty in Vietnam, and he was the recipient of three Purple Hearts and a Bronze Star. He was a member of the Winona VFW, the Winona American Legion, and also of the Winona Chapter of the Military Order of the Purple Heart. Mark was employed for many years with Froedtert Malt in Winona, prior to his retirement. He will be remembered for his love of history and reading. Mark is survived by his wife, Dian, Winona; children: Matthew (Allison) Biesanz, Winona; Jackie (Chris) Goyette, Winona; grandchildren: Hannah, Hailey, Brett, and Mallory Biesanz; and Joella, Kendal, and Piper Goyette; his siblings: Mary Neubauer, Independence, MO; Marta Sewall, Alexandria, VA; Michael (Jodi) Biesanz, Portland, OR; Bette (Jim) Meyer, Forest Lake, MN; Nancy (Dean) Mowry, Phoenix, AZ; and Kathleen (Bob) Ewald, Gilbert, AZ; Dian’s siblings: Dennis (Carolyn) Rasmussen, Winona; Richard Rasmussen, Winona; Dale (Sandy) Rasmussen, Rushford, MN; Mary (John) Larkie, Winona; and David (Lynne) Rasmussen, Winona; as well as many nieces, nephews, cousins, other relatives and friends. He was preceded in death by his parents; and Dian’s parents: Rollins and Betty Rasmussen. A celebration of Mark’s life will be held at the Winona American Legion Club, 302 East Sarnia St., on Saturday, December 8, 2018, from 2 PM until 5 PM, where the American Legion Leon J. Wetzel Post 9 of Winona will provide military honors at 3 PM. Online condolences or memories may be left for Mark’s family at www.watkowski-mulyck.com.